The Uncurated Life: Do you know what's inside the bottom of NYX Round Lipstick? 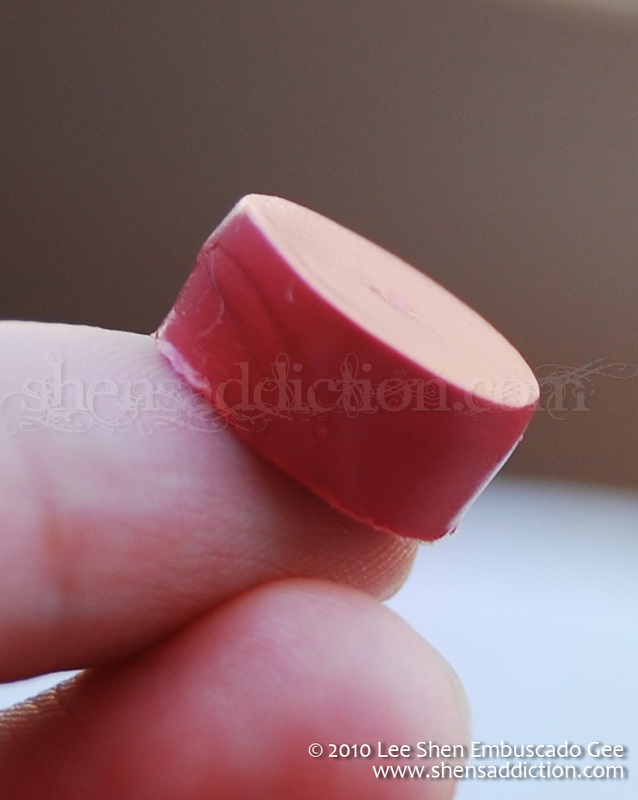 Do you know what's inside the bottom of NYX Round Lipstick? 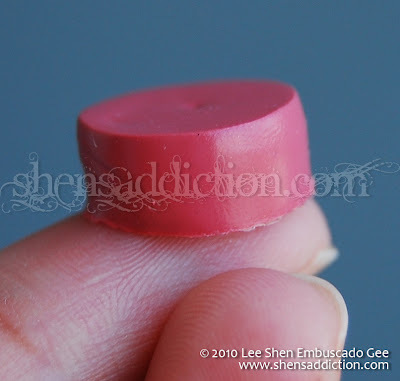 I've always been curious what's at the bottom of my NYX Round Lipstick. What's that color underneath and it is really lipstick? My NYX Tea Rose Round Lipstick was the unfortunate guinea pig of this experiment. 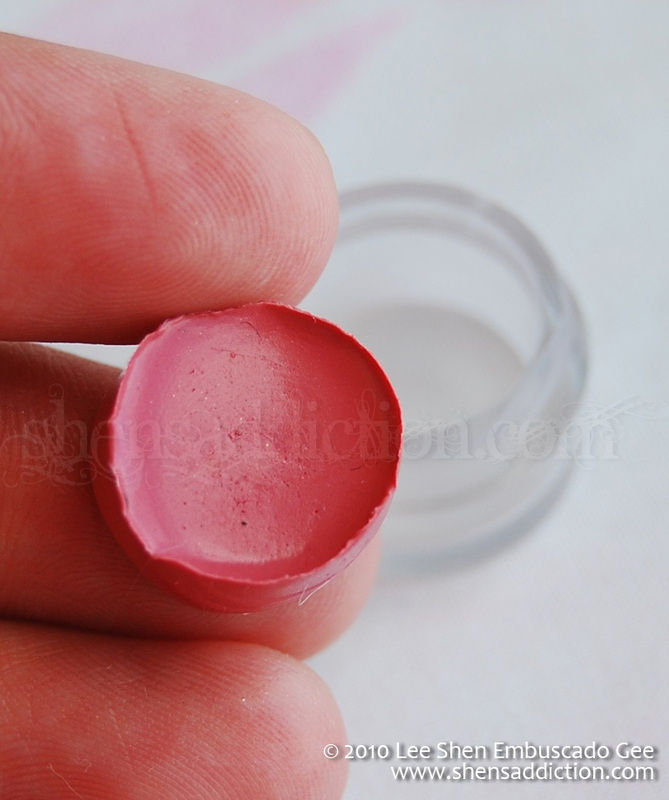 Apparently, what's inside is a jelly-like substance that aims to imitate the true color of the lipstick to make it easier on choosing at the store and on your vanity. Like jell-o molded inside the plastic cap. What it isn't is an extra lipstick. Boy, was I sooo curious! Thanks for the experiment!!! hahaha I´m happy I finally know what that is, hahaha I was wonderin and I was about to do the same experiment, thank God you did it first :p cause I couldn´t experiment with my new brand NYX round lipstick :p thanks girl!!! xoxo!!! Lol.. thanks for this Shen! I have a couple of NYX lippies..
haha. chineck mo pa talaga ha! You really are, Shen! But thanks for sharing, and for the gorgeous photos. =)Happy Monday! LOL! You are so funny and cute Shen. So so adorable! okay, feeling ko ang loser ko coz i haven't had any NYX lipstick all my life haha! na-intriga ako sa post mo, :p great post shen! thanks! I now know what those are! 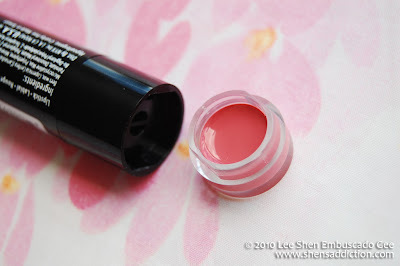 and if ever i get nyx lippies in the future, i wouldnt have to be tempted to pry open the bottom part of the tubes... hahaha! lol.. this made my night ahha.. i can only imagine your outcry of disdain ehhe..
you're so funny shen! bagi p lng ung Nyx's ko kya hindi ko pa naiisipan gwin yan, pero mbuti n lng gnwa mo na. hehe. tnx! ahahaha! I'm about to do the same thing! That is after abusing my first NYX lippie! ;) Thanks for sharing! how did you open it, just curious? mine was a real lipstick. . how come yours was just a jelly? ?